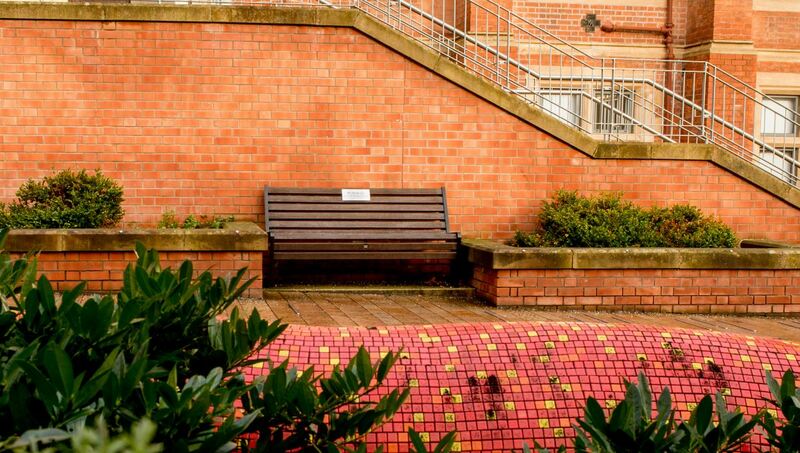 The Adopt-A-Bench programme at Queen’s University offers the opportunity to have a personal and tangible place on campus to commemorate or celebrate a loved one. Gifts to the programme support scholarships at Queen’s, allowing students to turn dreams into reality, regardless of their financial circumstances. One person who adopted a bench in memory of her mother, Mrs Sheelagh Goss, is Queen’s graduate Yvonne Goss, who shares her personal reasons for remembering her mum, in this way. “I had the great privilege of being a student at Queen’s University Belfast, for over eight years, during which time I gained Bachelor’s degrees in both English and Law and embarked upon an MPhil in Criminal Justice," said Yvonne. "My years at Queen’s were among the happiest of my life. My mother would often join me there for lunch and afterwards, weather permitting, would wait for me to finish my daily studies, in the tranquil and picturesque setting of the Quad. We also sat together, many times, in that idyllic location, discussing various topics and generally, putting the world to rights, before journeying home together. “Eventually, my time at University ended and the world and I had to move on and although Queen’s was often discussed in our household, it was to be many years, before I would, once again, cross the hallowed Black and White Entrance Hall of the Lanyon Building. “My mother passed away on 2nd September 2016, leaving a void in my life, which can never be filled." 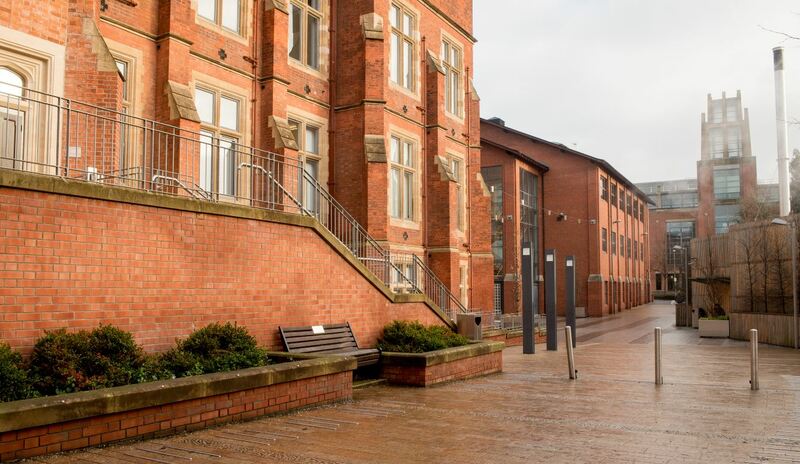 A few months ago, Yvonne embarked upon a series of appointments in the University area and immediately decided to visit Queen’s and reminisce about the times she and her mum had spent there, together. That was the first time she encountered the commemorative benches with their touchingly worded plaques and she knew there and then that she wanted to dedicate one of these benches to her mum. “My mother was an incredibly active lady, who was never idle. When not being physically active she was a voracious reader and a keen puzzler and quizzer and, not being one to sit and watch the world go by, it was these pastimes, with which she busied herself, in the ‘relaxed environs of the Quad’. Many decades later, mum would still say that doing crosswords and word puzzles, ‘always reminded her of being at Queen’s.’ She was captivated by the architecture of the University and as an avid gardener who adored flowers, shrubs and trees, mum found the Quad fascinating, frequently marvelling at the effect the changing seasons had on this beautiful environment." Yvonne goes on to say, that her mother was an extremely charismatic lady, often relating to her, accounts of interesting people with whom she had exchanged a few words. One such person she encountered was, the then Vice-Chancellor, the esteemed Sir Gordon Beveridge, whom she described as a ‘very pleasant gentleman’. Having decided that there could be no more suitable location in which to dedicate a bench in memory of her mum, Yvonne contacted Queen’s Development and Alumni Relations Office to discuss the matter. “When we add to this the area’s beautiful shrubbery and its colourful and fascinating student seating area, this is, undoubtedly, a captivating place,” said Yvonne. “I know had this area existed in its present form, when I was a Queen’s student, mum would have spent many happy hours in this idyllic location. “I always felt ‘at home’ at Queen’s. Now, thanks to this wonderful scheme, whatever connection I continue to have with the University, I will always feel my mum is a part of it, just as I did, when I was a student. If you would like more details on funding a memorial bench please contact Naomi King, Development Manager or telephone +44 (0)28 9097 3101.